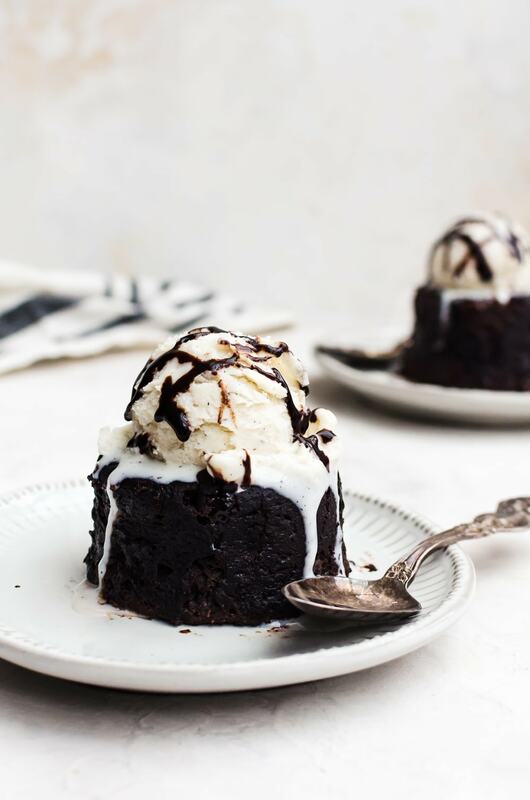 These chocolate lava cakes are the perfect dessert for you and your significant other (or yourself, I don’t judge). The best part? 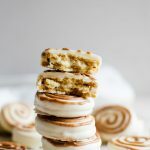 You can totally make it in the microwave! Thank you Rio Luna Organic Peppers for sponsoring this post. 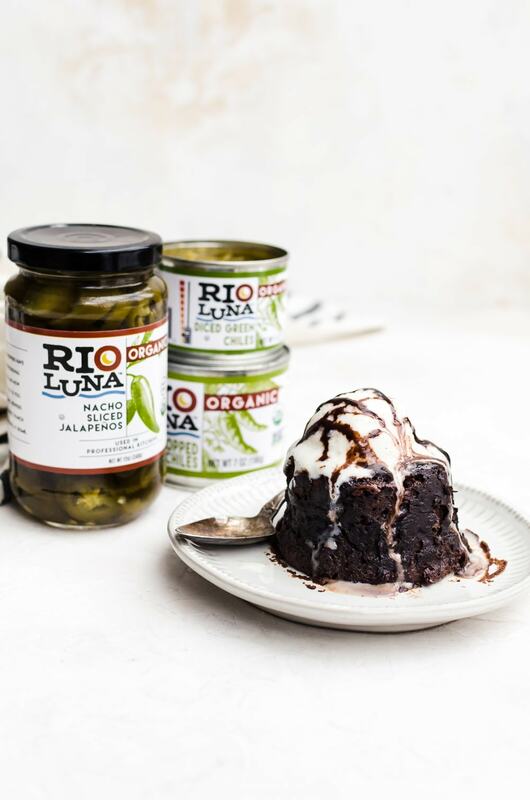 Rio Luna Organic Peppers are certified organic, non-GMO, fat free, cholesterol free, low calorie and Kosher. 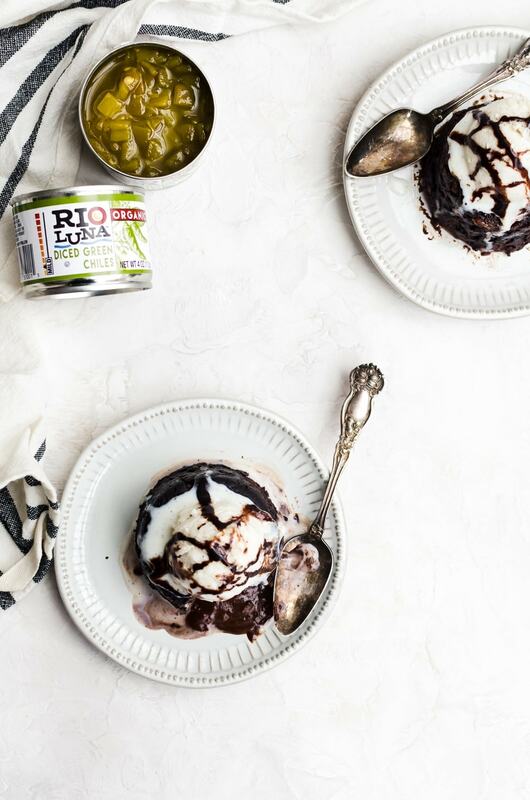 For flavorful and spicy recipe ideas follow Rio Luna on Facebook and Instagram. What I also like about using a ganache center is you can infuse the ganache with different flavors. 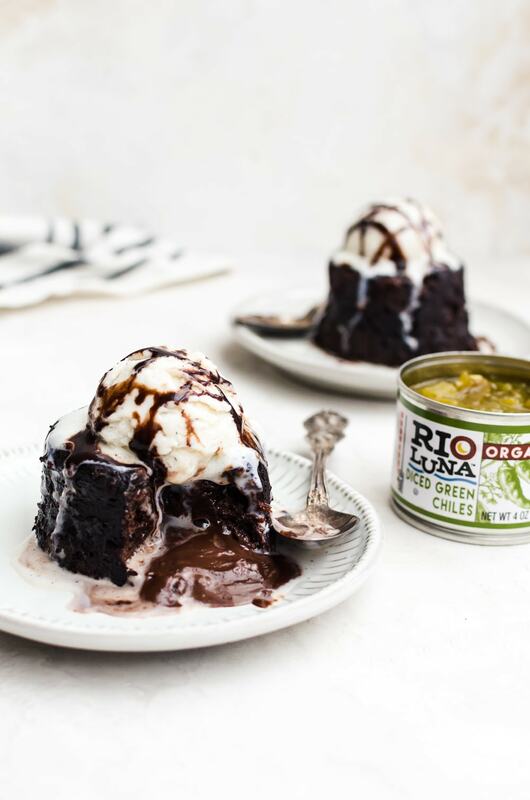 One thing I like is the combination of sweet and spicy, so I infused the heavy cream with Rio Luna’s Organic Peppers (you can find their peppers at Krogers or Whole Foods. Use this link for a coupon). 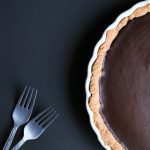 It adds a subtle heat without changing up the taste of the chocolate. I love that the peppers are certified organic, non-GMO, fat free, cholesterol free, low calorie and Kosher. They’re really high quality that professional chefs also use. For added heat, you can also add a bit of pepper into the cake itself. All you need to do is mash the pepper down to a puree. 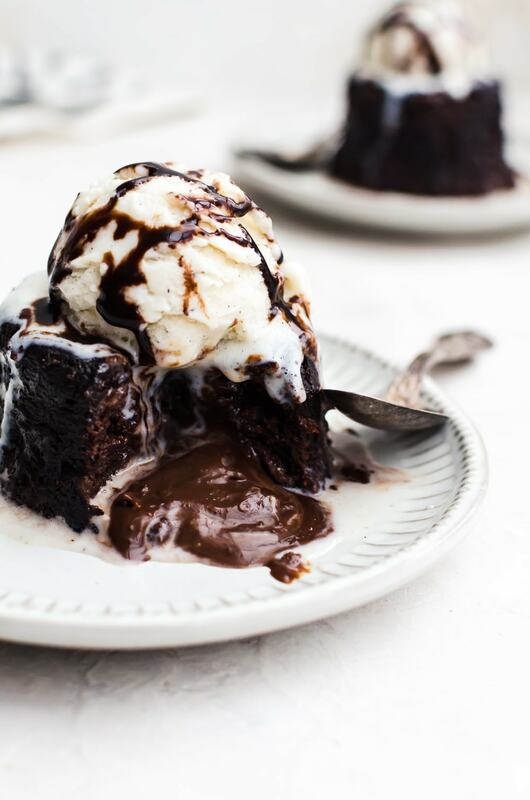 What I love most about this chocolate lava cake is that it is made in the microwave. That means you don’t have to wait forever for it to make. You can also make sure the cakes are fresh right after dinner without having to stress about timing. If you want, you can prep the cake ahead of time, and then pop them in the microwave right after dinner. In a small saucepan, heat the cream and the peppers together until the mixture starts to bubble at the edges. Simmer for about 3 - 4 minutes. Strain the mixture in a fine mesh strainer, pressing against the peppers. 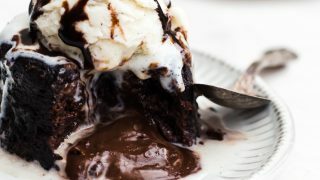 Add the chocolate into the heavy cream and chill in the refrigerator until hardened. Grease two 6 - 8 oz ramekins and dust with cocoa powder. Set aside. In a medium bowl, mix together the sugar, salt, eggs, vanilla, and the pepper (if using). Whisk well for about 2 minutes. Stir in the flour. 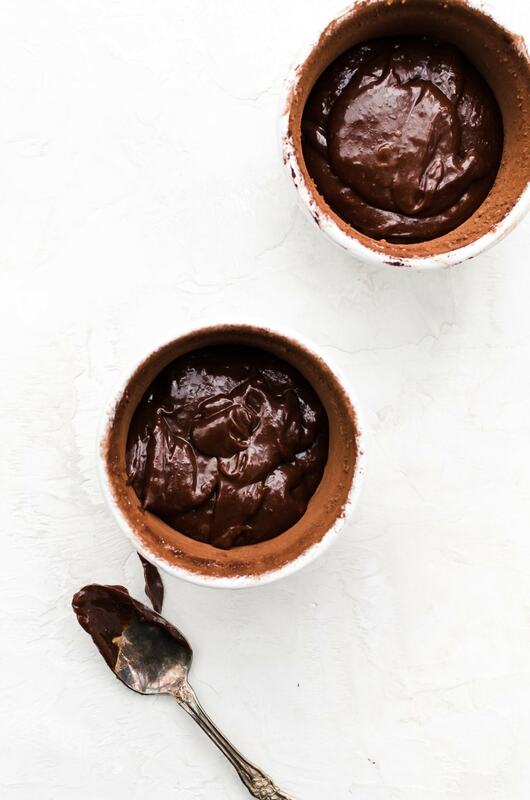 Evenly divide the batter among the ramekins, then roll a heaping tablespoon of ganache into a ball and place in the batter until it is fully covered.